We are creating methods to deliver genome-editing tools into plants without adding DNA from other organisms. 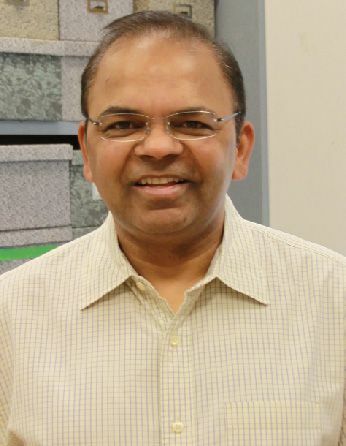 Savithramma Dinesh-Kumar is the Department Chair of the Department of Plant Biology and Professor in the Genome Center at the University of California, Davis. The Dinesh-Kumar lab pursues basic research activities to understand the molecular mechanisms by which plants mediate innate immunity. The CRISPR-Cas9 system has been used for efficient, targeted genome editing in various organisms, including plants. However, most published reports require generation of transgenic plants to deliver Cas9 and guide RNA (gRNA). Production of transgenic plants is time-consuming, labor-intensive, and some plants are recalcitrant to transformation. In addition, crop traits developed through transgenic approaches are not widely accepted for commercialization in most parts of the world. Therefore, efficient delivery of Cas9 and gRNA into plant cells is required for rapid discovery of gene function that circumvents the requirement of transformation or tissue culture-based methods. We have recently demonstrated that an expression system based on tobacco rattle virus (TRV), an RNA virus, could be used for delivery of gRNA into Cas9-expressing transgenic plants to induce heritable genome editing. However, engineering of the TRV vector to deliver both Cas9 and gRNA is required to avoid this transgenic-based approach. We will optimize TRV-based vectors for efficient non-transgenic genome engineering in plants. Successful development of a TRV-based system should facilitate introduction of novel traits in agriculturally important crop plants in a non-transgenic manner. Furthermore, the engineering principles adapted for the TRV system will be useful in developing other virus-based vectors.